Conveniently located above Chatswood Railway Station. When Should I see an Osteopath? Email us if you have any particular questions or need more information. Osteopaths are known for treating people with Low Back Pain, ﻿Back Pain, Neck Pain﻿ and Headaches ﻿﻿but Osteopaths also treat people suffering from Sciatica, Whiplash and Arthritis as well as injuries to the joints of the arms and legs including people with shoulder, hip and knee pain. Osteopaths also treat the New Born and Children primarily using The Cranial Approach to Osteopathy. 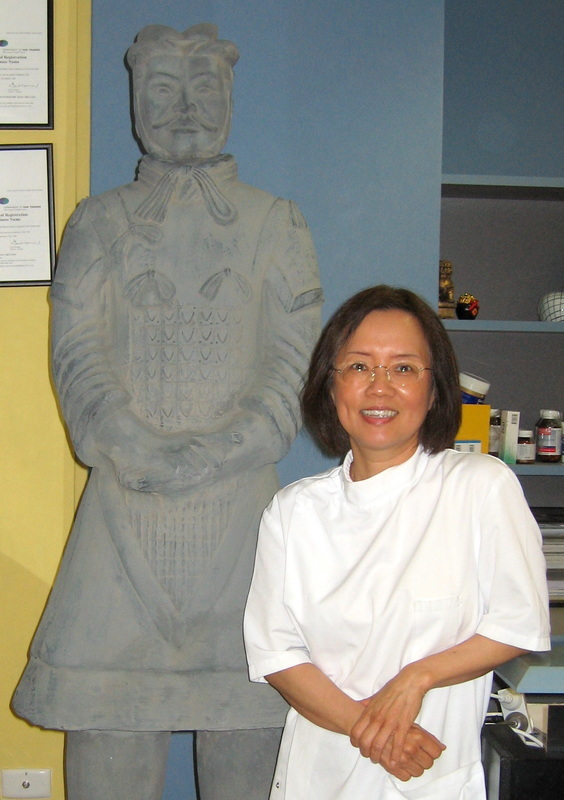 Chatswood Osteopathic Back Care Clinic is run by UK trained Osteopath, Im Chuah. Im graduated from the European School of Osteopathy in England in 1988 and has been practising as an Osteopath in Australia since 1990 when she arrived Hobart and established Hobart Osteopathic Clinic along with her husband, John Mickerson. Chatswood Osteopathic Back Care Clinic opened in November 2000 and Im has been commuting between Chatswood and Hobart on a weekly basis ever since. Im is a long standing member of Osteopathy Australia. Chatswood Osteopathic Back Care Clinic is conveniently located in the South Tower of Chatswood Central, the office block immediately above Chatswood Railway Station. BY CAR - The easiest place to park is at Westfield Shopping Centre Car Park. Come out to Victoria Mall and turn left then walk towards Chatswood Railway station situated at the top of the Mall. Descend the down escalator, walk straight ahead under the railway tracks and then ascend the very long escalator at the other end. Turn right at the top of the escalator. Keep to the right and after you pass the ATM and the THREE BEANS COFFEE SHOP you will find the entrance to the South Tower of Chatswood Central. Take the elevator to the eighth floor and turn right when exiting. NOTE for 6.00 PM and 6.40 PM appointments The lift shuts off at 6pm and even if the lobby is accessible, the lift WILL NOT take you to level 8. You will need to ring 9410 3888 and Im will come down to meet you. If you have Private "Extras" your claim can be processed at the time of your appointment using HICAPS. We accept Cash,VISA, MasterCard, EFTPOS and Cheques.